If you’re a gamer, you should have a nice set of headphones. Not only do headphones immerse you into the game you’re playing, but they provide better sound than the standard TV. Sound is important when gaming, and the developers mean for you to experience all the details they put into their titles. One of the best options for you to consider when picking a pair of headphones is Turtle Beach. Why Turtle Beach? For starters, they’ve been around since 1975, and know their audio. Initially, the company set out to make sound editing software for computers. This lent itself well to what the company does best today: soundcards and headsets. Both are crucial for any game, but specifically on the computer. A soundcard allows the audio to pass through to your connected audio devices, one of which is headphones. The best part about this background is that they know how to make sound appear across multiple devices, so Turtle Beach headphones are bound to sound good. Sure, they’re a little gamer-heavy in design, but the company is a solid option when you need a set of earphones for your gaming experience. While Turtle Beach has numerous models to fit different wants or needs, high prices don’t often mean better. 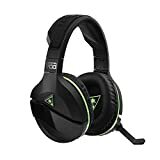 It should be true that if you’re spending more on Turtle Beach headphones you’d expect better quality, but since they’re all made by a company so familiar with audio and audio products, they all perform well. Most of the differences come from looks, certain sound qualities, comfort, and included software. These will factor into our list, along with how the microphone performs, giving an overall look at each product so that you can choose the best for your needs. With over 26 styles of headsets, our work is far from cut out. 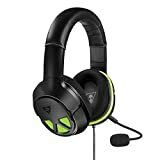 The other question when looking at headphones is choosing wired or wireless. Most of the time, there is a tradeoff for sound quality and microphone sound in wireless sets, while also having to be recharged. However, the simplicity of a wireless set makes them a great option. Overall though, the top picks are going to do more than simply sound good. They’ll be able to handle multiple types of games, have a long battery life if they’re wireless, and be portable. The first on our list, this little headset is the most basic option you’ll find. It doesn’t have many features, and isn’t going to be the best-sounding headset on the list. But what it does have is functionality. Back in the days before gaming headsets were a thing, most microphones were just like the Recon Chat Wired Mono: one earmuff, simple headband, and decent mic quality. They were lightweight too, making them ideal for people who wanted a better sound experience for their games, but not wanting to look like a professional. You plug them in via any 3.5mm audio jack, making them simple to use when you want. Thus, the $20 offering by Turtle Beach gives you the freedom to be immersed in a game and still be able to hear everything around you. The headset features a 40mm driver to pound bass home, and the overall sound quality from this mono-channel headphone is warm and big enough. Anyone found on the other end of the mic will notice that you sound a little bright, but overall will be easy to understand. The mic does pick up some background noise, though, so keep that in mind if you have animals or live on a busy road. There’s not much more to talk about for these Turtle Beach headphones, mainly because they’re so simple in design. Going from the cheap, $20 price bracket up to the $150 area, you’d think that the sound would heavily improve. Sure, it does, but there is also more to the equation than just sound, especially when factoring in the overall purchase price. 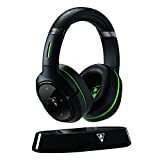 The Stealth 700, a sleek, wireless Turtle Beach headphone offering, delivers big sound, good chat technology, and noise canceling technology. These features sound great, but while some work nicely, others fall short. To begin, the sound stage of the headset is anchored by dual-50mm drivers, which produce solid highs paired with big lows. This means that explosions can really rock your ears, but not too much. The Stealth 700 allows for carefree listening via Bluetooth, giving you a true wireless experience–no need for any adapter or dongle. You can even use these Turtle Beach headphones via your smartphone or tablet, doubling as media headphones. The two biggest drawbacks for the Stealth 700 come in the form of applications. 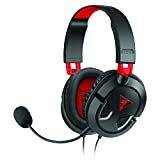 To adjust certain settings, such as the mic’s monitor volume, you’ll have to download the Turtle Beach Ear Force Audio Hub on our computer or cell phone. This isn’t unheard of with products today, but the apps aren’t optimized all that great, meaning the experience can be troubling. Also, while there is talk of Dolby Atmos technology and noise cancelling built in, neither performs up-to-par. Overall though, the Stealth 700 is a nicer premium set that should last a while, and is an upgrade over most other headphones. 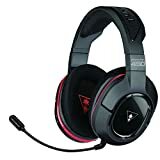 The Recon line of Turtle Beach headphones provides good sound at a good price point. This lends itself well to anyone looking for an upgrade, and the bigger Recon 50 is another nice entry. To start out, the Recon 50 is compatible across all the gaming devices, such as Nintendo Switch, PC, Xbox One, and PS4. This makes it perfect for you if you have multiple consoles throughout your home. They’re simple to use as well, which can be a plus or minus depending on what you need your headset to do. While the drivers are only 40mm despite the 50 in their name, the sound is still good enough to feel immersed in any gaming session. They’re extremely lightweight at only one pound, barely noticeable on your head after a few hours of playing. There are convenient in-line controls to adjust the overall volume on the fly, and the microphone mute button is just a press away. The biggest feature of the Recon 50 is the high-sensitivity mic. This device allows you to sound clearer to anyone on the other side, and is easily removed when not needed. At $40, you’ll be hard-pressed to find a better microphone and sound stage at this price, while delivering comfort from being so light. The Recon 50 is a good entry into Turtle Beach headphones. 100% Wireless - Experience crystal clear, interference-free game and chat audio with 100% wireless connectivity to PC. DTS Headphone:X 7.1 Surround Sound - Pinpoint the exact location of every sound with immersive 7.1 surround sound. Superhuman Hearing - Audio preset which provides the competitive advantage of hearing enemies before they come into view. It might seem odd that the Stealth 450 comes after the 700 on our list, but there are reasons for that. Price is a big factor, and those on a tight budget will feel the same sound quality of both, for the most part. The Stealth 450 is $70 cheaper though, which is something anyone’s wallet will feel. You’re not paying for noise canceling or Dolby Atmos technology here, but again, they didn’t work so well on the other Turtle Beach headphones so why pay more for the same sound quality? The Stealth 450 still manages to deliver 7.1 surround sound, as much as you can in a headphone format, along with the DTS Headphone: X audio format. There are other features found here that work nicely. Having Variable Mic Monitoring means the volume of your voice is actively adjusted based on needs. The headset is also 100% wireless due to Bluetooth connectivity, and the mic can be removed when unnecessary. The battery is solid at 15 hours. Like Atmos, the object-based audio didn’t sound great, but was noticeably more distinguishable throughout games. All of this is simulation-based, so while not true 7.1–you can’t fit seven speakers plus a subwoofer inside headphones–it still musters up the idea. Using the Stealth 450 should improve your game, and give you better sound overall. The most expensive Turtle Beach headphone on our list, the Elite 800x offers the pinnacle of Turtle Beach design. Designed exclusively for the Xbox One console, these headsets are packed with features, including a charging stand and boomless microphones. The build quality is excellent, and has comfort in mind as the ear cushions and headband both include memory foam inserts. One of the more interesting inclusions is the noise-cancelling microphone on both earmuffs. Instead of the traditional microphone that Turtle Beach offers, they’ve upped their game with this newest technology. Sound quality is good, and features 7.1-surround sound with Dolby Atmos and DTS Headphone: X built-in, allowing you to pick your favorite object-based audio setup. 50mm drivers provide enough low frequency for anyone, and there are four adjustable EQ settings too. In terms of battery life, the 800x is on the shorter side at 10 hours. However, instead of having to charge the device with your standard cable, you simply place the Turtle Beach headphones onto their magnetic charging stand. The headset then hovers there while charging. Groovy. The biggest gripe anyone will have with the 800x is the price, and while a price tag that starts from $250 is a bit steep for a gaming headset, the number of hours you’ll use the device should outweigh the up-front cost. Our top pick for Turtle Beach headphones, the XO Three delivers compatibility with most gaming devices, bigger 50mm sound drivers, and little touches to the design that make it the best bang-for-your-buck headset around. Forgoing features for sound quality and voice transmission, the XO Three gives you all the necessary items without unwanted fluff to the price. The headphones are made with leather foam cushioning on the headband, and the ear cushion uses the same foam. You can plug these into your PS4, Xbox One, Nintendo Switch, or PC as they use a 3.5mm audio jack. They are, however, made for Xbox, which probably describes the name. On the audio side, the XO Three is powered by the same 50mm drivers found in higher-end models of Turtle Beach headphones, giving you the same excellent audio quality for the money. The microphone is removable and omni-directional, allowing you to be heard no matter where your voice is projecting at that moment. If needed, the quick-access in-line controls near the top of the audio line are simple to find. Being wired, it allows less complications to arise, and should they come up the diagnosis can be easier. Some might say that no full surround sound on all devices–only supported on Windows 10 PCs or the Xbox One–is another downfall. Sure, if you’re willing to spend more you can get any feature imaginable, but the point is price versus performance, and these strike the perfect balance at $60. The XO Three is the best Turtle Beach headset offered for the price, and you’ll be overly happy once you’re plugged in. Every manufacturer out there provides different products at different price points. Most of the time, there is a significant difference in features and quality between these. While this is still partially true with Turtle Beach headphones, the fact is they give great options across the board. Whether you’re looking for the latest in headphone technology, such as Dolby Atmos or DTS Headphone: X, or simply want a mono-channel mic to give you freedom, Turtle Beach has you covered. They offer something for everyone, on every budget, and knowing the differences between the models will give you the freedom to pick the best one for your needs. 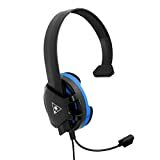 All the headphones we listed will be a definite upgrade from any stock microphone you have, and will deliver good sound for movies, music, and gaming. Even though Turtle Beach headphones are a little bigger and rugged-looking than you might want, they’re all comfortable to listen in for hours, and the quality is backed by their 40-plus years in the audio business.